We don't make your e-bike stronger, but it supports you beyond 25 km/h. Unleash the full potential of your e-bike. Ride as fast as you can. Overcome your limits. Ride without limits. 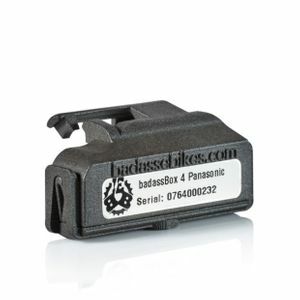 Which badassBox do I need to make my e-bike faster? Still uncertain? With our customer-friendly money-back guarantee, you take no risks. There are two versions of the badassBox for pedelecs with Brose mid-mounted motor: The well-tried badassBox Typ3.4 Brose, and the new badassBox 4 Brose. 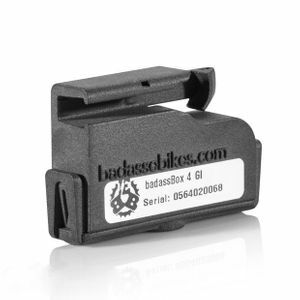 If the distance between the spoke magnet and the speed sensor of your e-bike is less than 15mm – especially with Brose, this often occurs – we recommend choosing the slim badassBox 4 Brose. Otherwise you will need an additional 5mm adapter. There are two versions of the badassBox for pedelecs with Continental mid-mounted motor: The well-tried badassBox Typ3.4 Conti, and the new badassBox 4 Continental. If the distance between the spoke magnet and the speed sensor of your e-bike is less than 15mm, we recommend choosing the slim badassBox 4 Continental. Otherwise you will need an additional 5mm adapter. There are two versions of the badassBox for pedelecs with Impulse mid-mounted motor: The well-tried badassBox Typ3.4 Kalkhoff-Impulse and EVO, and the new badassBox 4 Impulse. 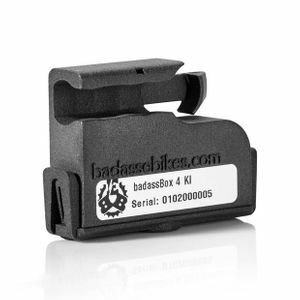 If the distance between the spoke magnet and the speed sensor of your e-bike is less than 15mm, we recommend choosing the slim badassBox 4 Impulse. Otherwise you will need an additional 5mm adapter. 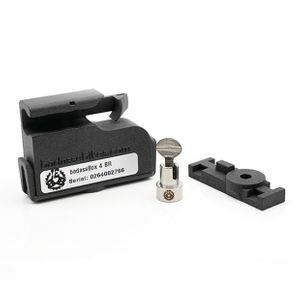 There are two versions of the badassBox for the Pendix conversion kit: The well-tried badassBox Typ3.4 Pendix, and the new badassBox 4 Pendix. Please note that we have designed the badassBoxes exclusively for pedelecs with mid-mounted motor and motor support up to 25 km/h and 250 Watt continuous power, not for S-Pedelecs or hub motors. Write a message to our customer service to service@badassebikes.com! Please specify the exact name and manufacturer of your e-bike. We usually reply on the same working day. Don't worry, we weren't born e-bike tuning experts either. First check where the motor of your e-bike is installed. We only support pedelecs with mid-mounted motor (motor in the crank/pedal area) and motor support up to 25 km/h and 250 watts continuous power, no s-pedelecs (motor support up to 45 km/h) and no hub motors (motor in the area of the front or rear wheel axle). Write a message to our friendly customer service at service@badassebikes.com. Please indicate the exact name and the manufacturer of your e-bike. Send a picture of the bike if possible. We usually reply on the same working day.